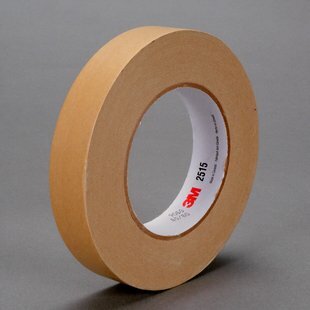 3M Tartan™ Flat Back Paper Masking Tape 2515 utilizes both kraft paper backing and a strong rubber adhesive to make an excellent splicing, holding, fastening and general adhesive for packaging applications. It features easy tearing and is ideal for machine dispensed taping applications such as professional packaging. High strength tape that is resistant to moisture. Ideal for sealing paper and paperboard. Low unwinding resistance allows for smooth peeling. Tears easily by hand or dispenser.